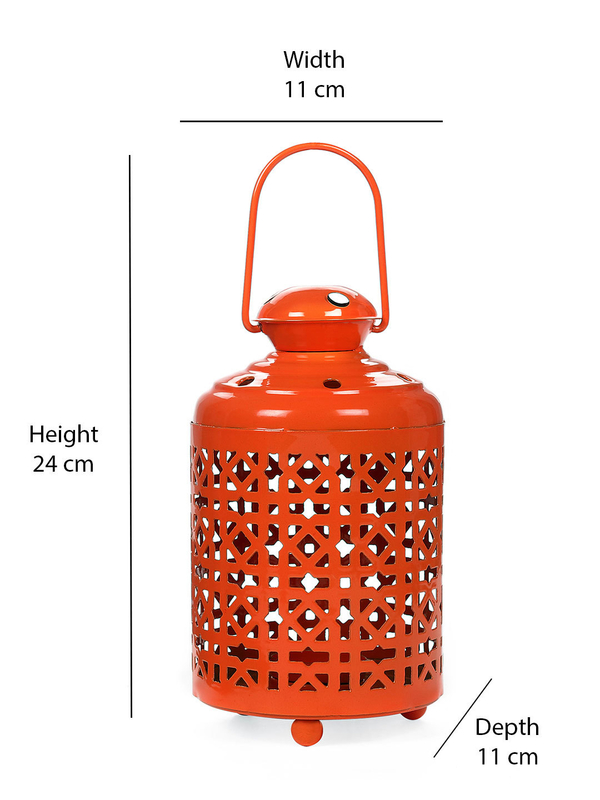 Picking inspiration from the ancestral lantern, the Illumina Mini Lantern is going to take you back in time while also delivering to your modern day décor specifications. The unembellished piece of aesthetic delight will add a new dimension to your flower table. The hue-y orange is the perfect complement for your serene and subtle pastel walls, while also being the most rustic yet eloquent piece of decor for your adobe. The mini magic lets the bohemian inside you do the talking while also pleasing the beholder's eyes as well.